 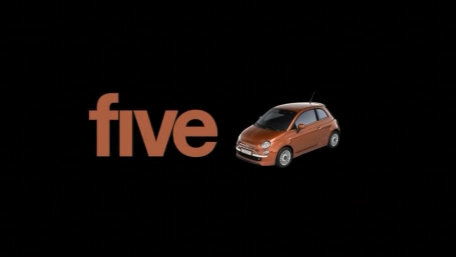 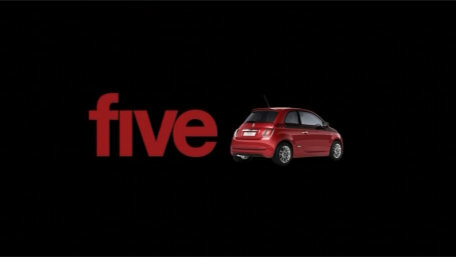 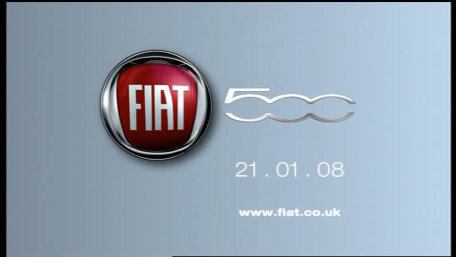 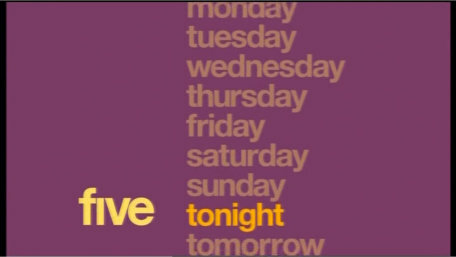 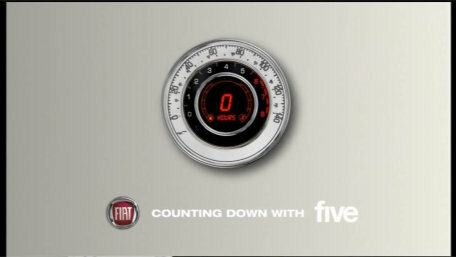 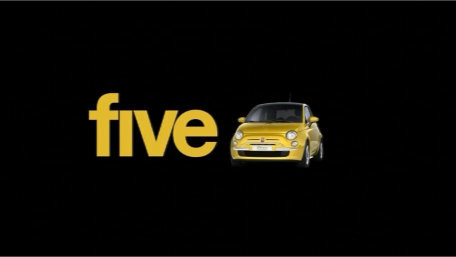 On Monday 21st January 2008, five became the fist UK TV channel to be sponsored for a whole evening to coincide with the launch of the FIAT 500. 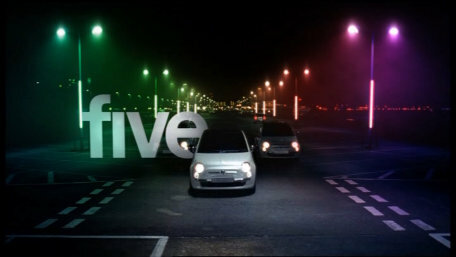 "The overall creative concept behind the ident and sponsorship sequence is that the FIAT 500 and Five ‘brighten up your life’. 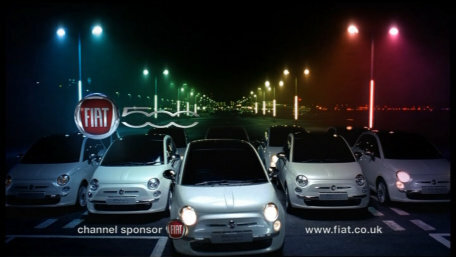 The piece opens on a lifeless empty car park, when the Fiat 500 drives into the scene and halogen lights spontaneously burst into broad strokes of colour. 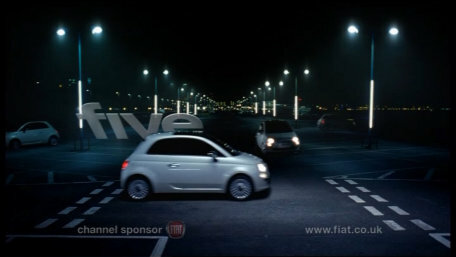 The car multiplies as it playfully zips around the car park." 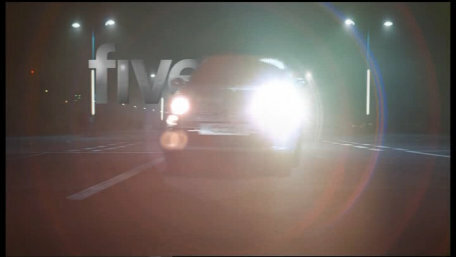 The idents, break flashes and sponsorship sequences were directed and produced by Duke.tv. 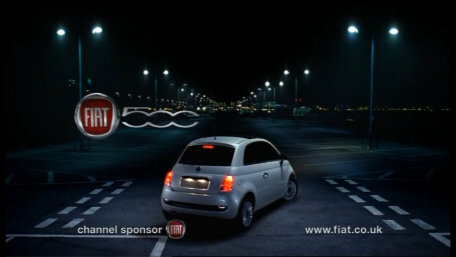 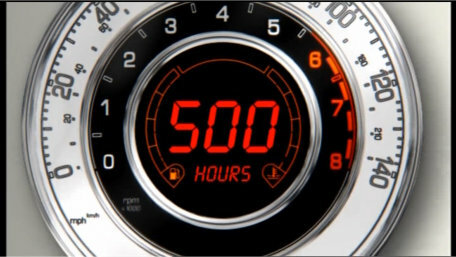 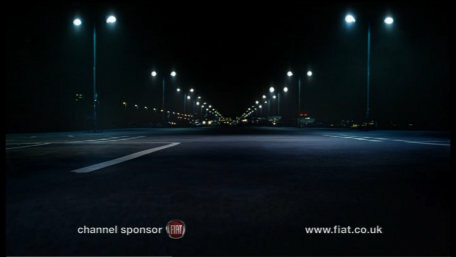 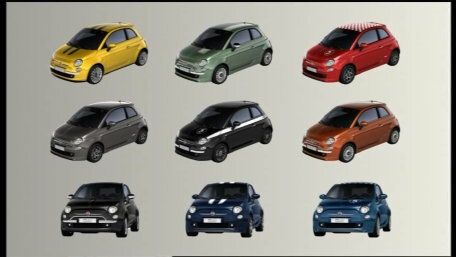 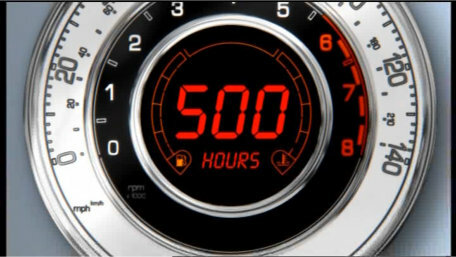 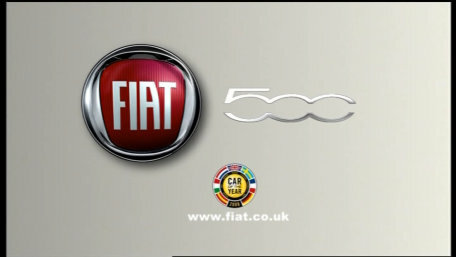 The advert and ident shown at 8pm for the launch of the Fiat 500. 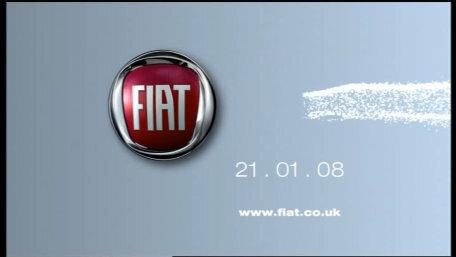 A quick rundown of what's coming up on Monday 21st January 2008. 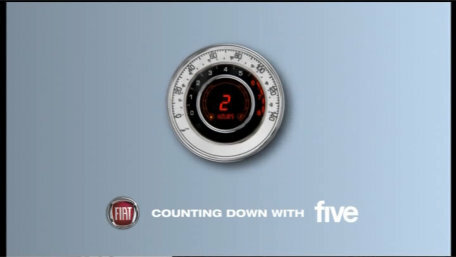 The 4 break flashes used between adverts on the night.